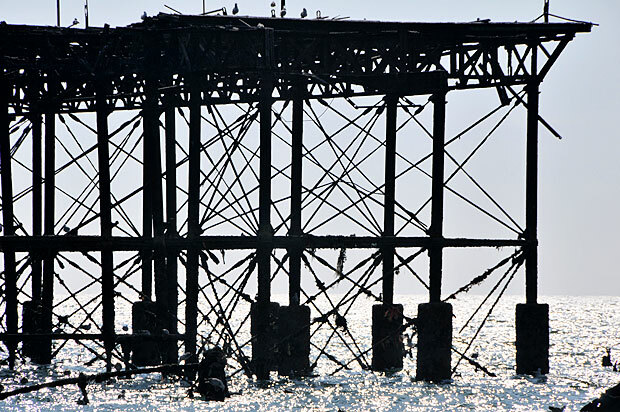 Unlikely to ever recover from the suspicious fires that saw this beautiful Grade I listed pier reduced to a burnt out shell, Brighton’s West Pier cuts a sorrowful sight in the spring sunshine. 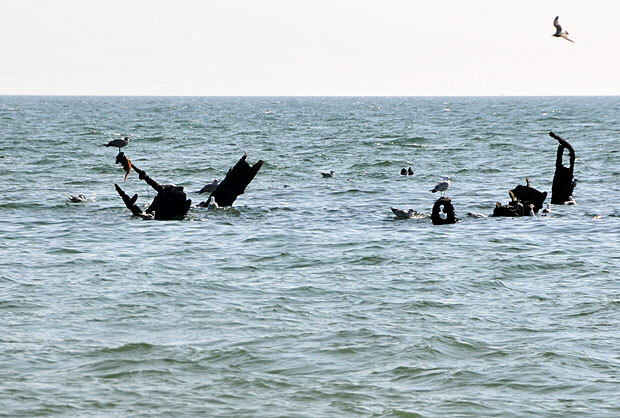 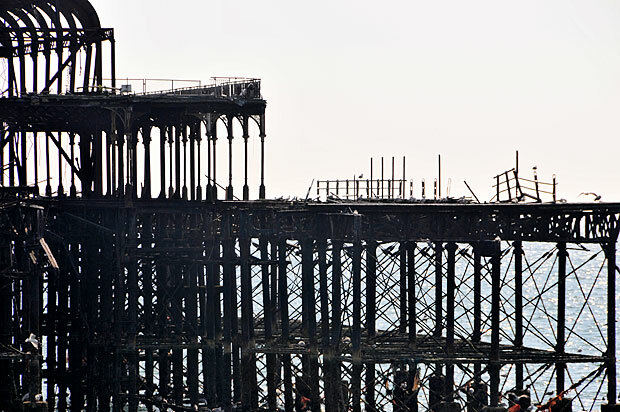 I’ve already covered a lot of the history of the pier in a series of articles last year – Remembering the Brighton West Pier in photos – but it’s still heartbreaking to see the structure dying a slow death out to sea. 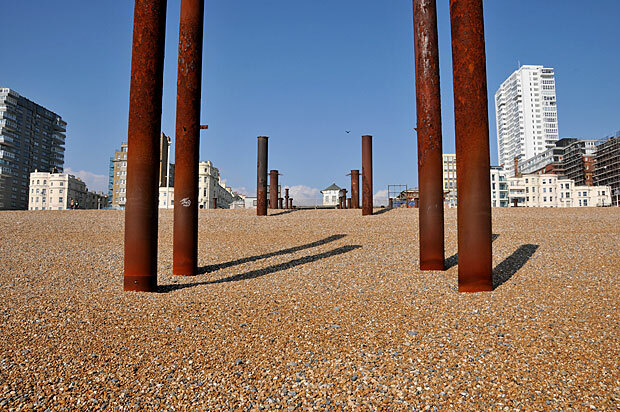 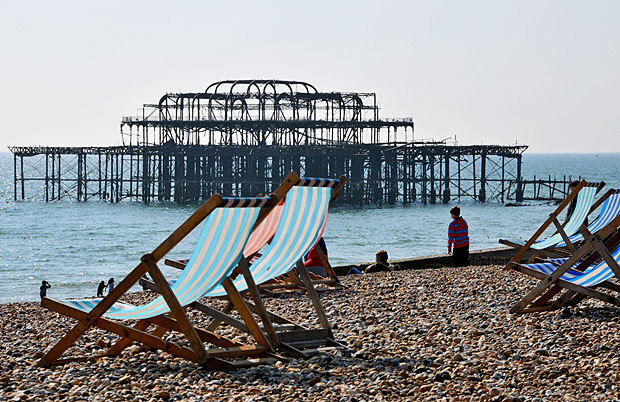 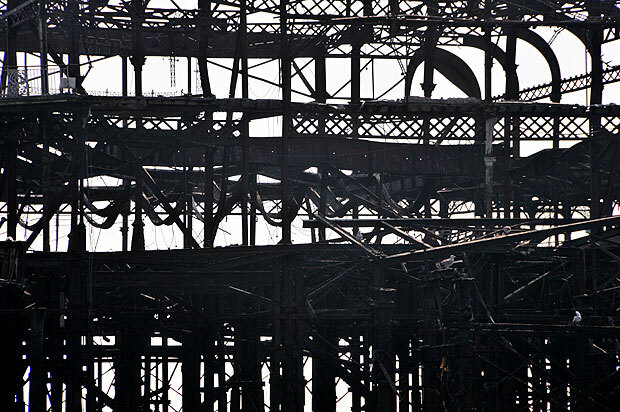 The West Pier Trust is still clinging on to its faint hopes of restoring the pier. 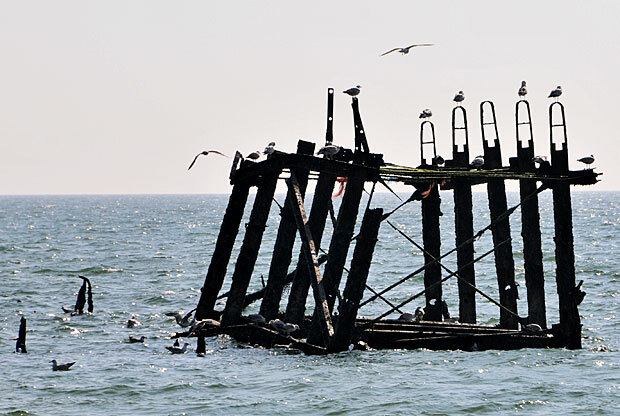 You can still see some of the fine ironwork on the pier. 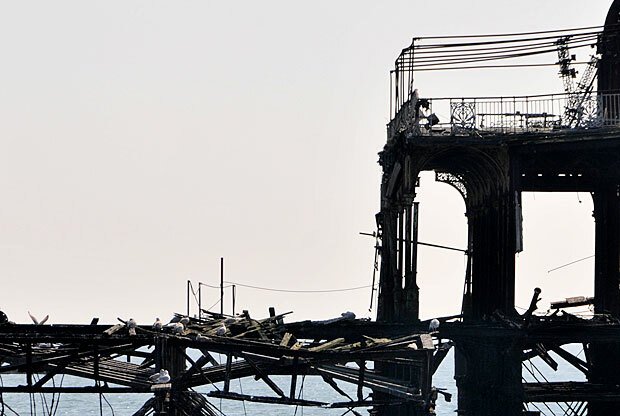 The delicate cast iron supports still stand. 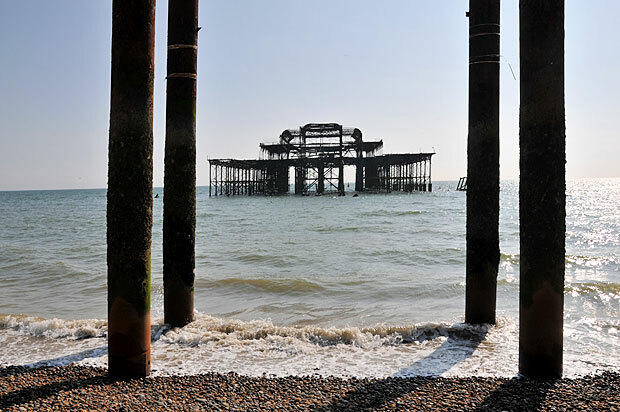 View of the West Pier from its old rival, the Palace Pier. 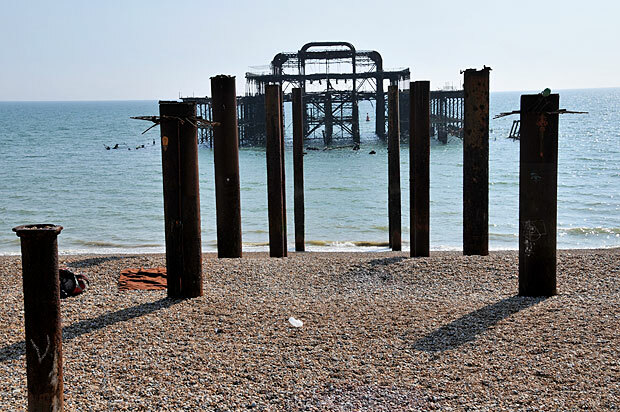 After being given a £14.2m Lottery award in 1998, there was real hope that this beautiful old pier would be restored, but two subsequent arson attacks – and major storm damage – have ensured that it’s hugely unlikely the West Pier will return from the dead. 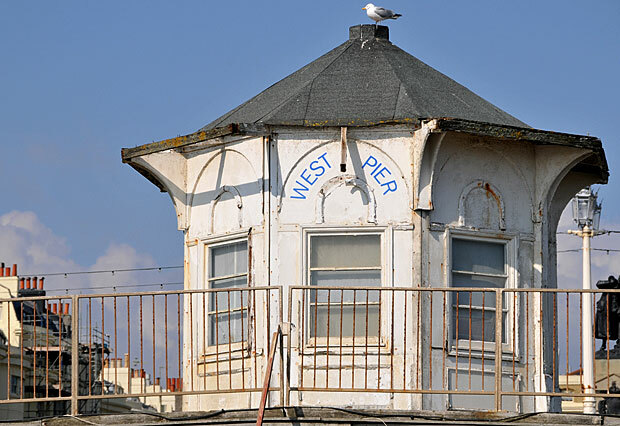 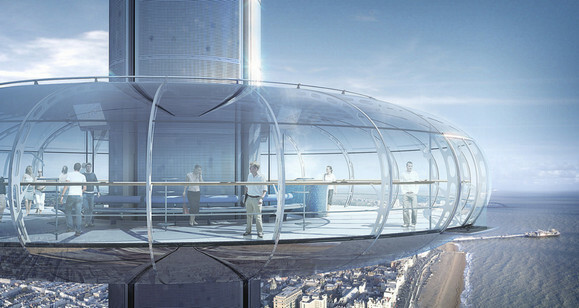 I don’t imagine that’s something that’s going to upset the owners of the Palace Pier too much. 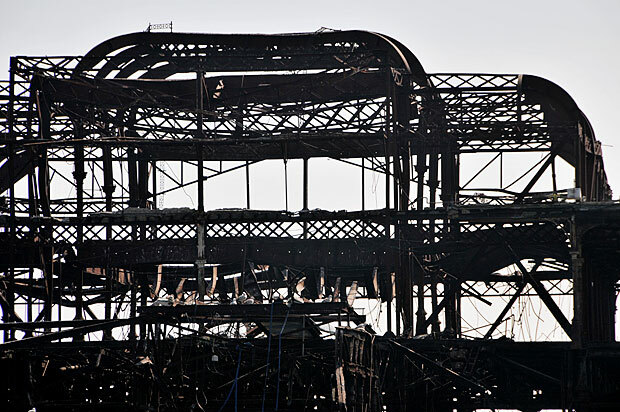 Some of the structure seems in surprisingly good shape. 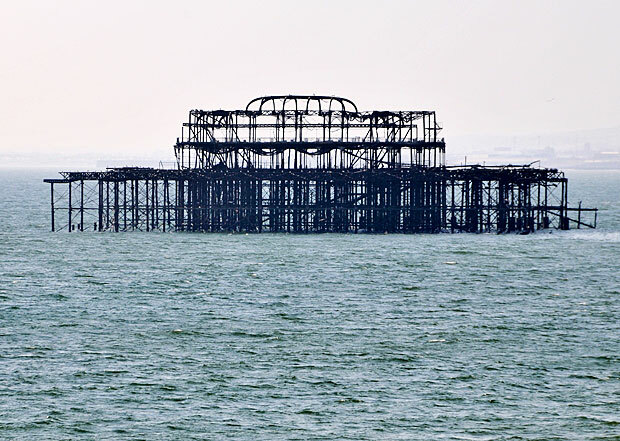 Part of the old concert hall can still be seen jutting out above the waves. 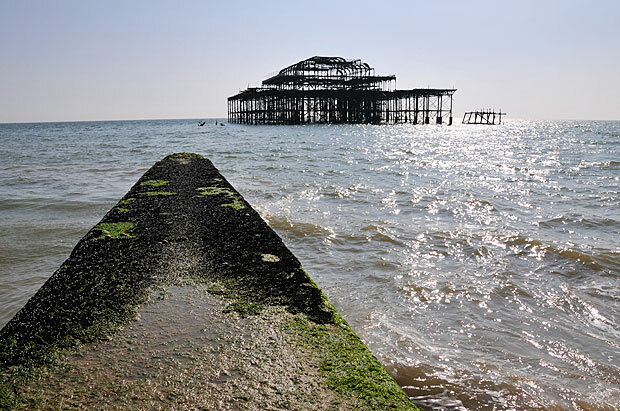 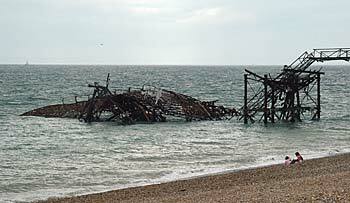 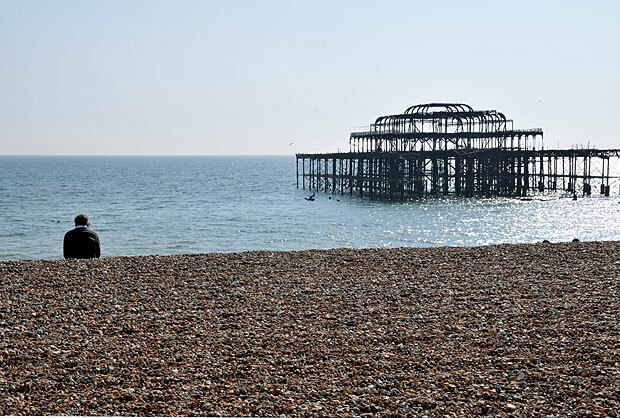 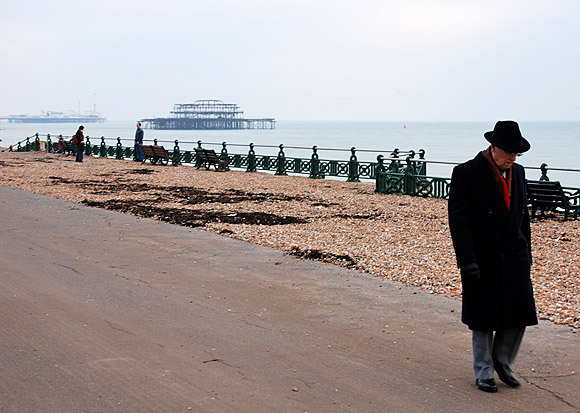 Read more about the pier’s past, present and future here: Remembering the Brighton West Pier in photos. 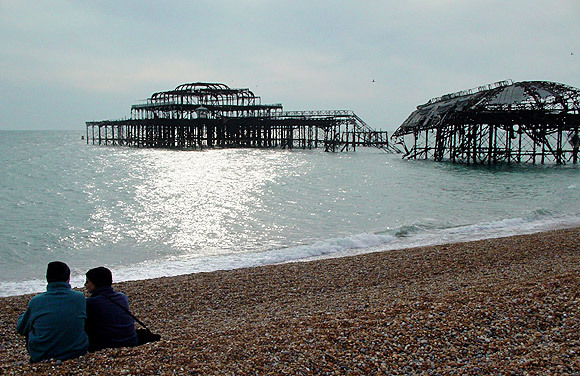 The West Pier was/is the epicentre of most of my childhood memories. 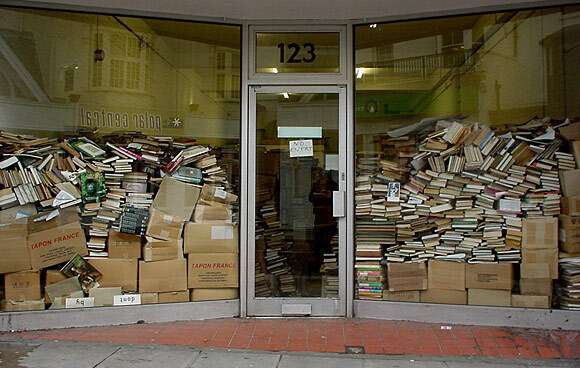 Thank goodness for a digital age, with which we can preserve something of its existence.